The Center is known for scholarly accomplishments, striking art exhibitions, and informative talks. But more than that, it is a place to learn from the past, confront issues shaping our region today, and look to what the future holds for the Great Plains. Our programs contribute to preserving and enriching life in the Great Plains. Fellows of the Center work as faculty and staff on all four campuses of the University of Nebraska. We also have Affiliate Fellows who are faculty at many other universities across the U.S. and in other countries or are persons who have a professional interest in the Great Plains and the purposes and program of the Center. And our Great Plains Graduate Fellows are doctoral or master’s students in the process of completing their degrees in their own disciplines and departments. The mission of the Center is to increase understanding of and appreciation for the people, cultures, and natural environment of the Great Plains. Increasing understanding requires research, so we foster studies of the region, in part by publishing scholarly journals and other outlets which report research results. Increasing appreciation implies engaging the public, so we organize public lectures and symposia, publish books and post on social media, and in other ways seek to stimulate conversations about the Great Plains. We want the Center to be a place of bold ideas and regional engagement. As we work to conserve our eco-system and help human communities thrive, we hope you'll take a look at what we offer. Scholarly research: Our two journals, Great Plains Quarterly and Great Plains Research, bring challenging and relevant interdisciplinary work to readers, providing articles that draw on the full range of the natural sciences, ecology, social sciences, history, and the humanities. You can obtain them via Project MUSE or at the University of Nebraska Press. We also publish books like the Atlas of the Great Plains, the Encyclopedia of the Great Plains, our “Discover the Great Plains” series of short books, and other works. Community engagement: Throughout the school year, the Center hosts the Paul A. Olson seminars, a series of lectures on various topics. From time to time we produce special talks, pamphlets, and exhibitions aimed at community audiences; an example is our print and digital map of the top 50 ecotourism sites in the Great Plains. Each year the Center holds an annual Great Plains Symposium focusing on an issue important to the history, culture, health, ecology, or future of the Great Plains. Art: The Great Plains Art Museum occupies the first and lower-level floors of the Center. The Museum features exhibitions of artists whose work captures the Great Plains as well as special exhibitions that focus on a particular theme or artist. The museum hosts exhibits of painting, photography, sculpture, and even youth work from area schools. On roughly a biennial schedule it mounts a special exhibition of Native American art called “Contemporary Indigeneity.” The museum is a principal part of our work in sharing the culture of the Great Plains with the public. Courses: Our courses of study in the Great Plains attract bright students with deep interests in this section of the continent. The Center and all of its programs are located in Hewit Place at the corner of 12th and Q streets in Lincoln. Standing before the museum's doors is a life-sized five-figure sculpture of Lewis and Clark titled "On the Trail of Discovery." Feel free to give Lewis and Clark's dog, Seamus, a good pat on the head as you venture into the museum. We thank all visitors and friends of the Center for helping us in our mission. Rick Edwards is Professor of Economics and Senior Vice Chancellor (emeritus) as well as Director of the Center for Great Plains Studies. Homesteading the Plains: Toward a New History (with Jacob K. Friefeld and Rebecca S. Wingo): This book reexamines old data and draws from newly-available digitized records to reassess and challenge prevailing conventional wisdom about homesteading—for example, that homesteading was a minor factor in western farm formation, that most homesteaders failed to prove up their claims, that homesteading was rife with fraud, and that it was a principal cause of dispossession of Indians. The book shows that scholars must take a whole new look at their conventional story about homesteading. Atlas of Nebraska (with Clark Archer, Leslie Howard, Fred Shelley, Donald Wilhite, and David Wishart): This is the first atlas of Nebraska published in over thirty years; it maps the history, economy, society, and culture of the state in more than 300 original color maps. Understanding Capitalism: Competition, Command, and Change, 4th edition (with Samuel Bowles, Frank Roosevelt, and Mehrene Larudie): This textbook continues to provide a heterodox interpretation of how our economic system works. Natives of a Dry Place: Stories of Dakota before the Oil Boom: The book explores the lives of ordinary folks in the small wheat town of Stanley, ND. They learned to create rich and meaningful lives for themselves despite the harsh climate of their homeland. On occasion they showed extraordinary courage, love, purpose, pluck, humor and determination, and they developed a distinctive culture whose values are now fading from view, as is true in so much of the small-town Great Plains. In the face of great changes in the region, it is important to remember these achievements of the past. Edwards is also the series editor for the Center’s Discover the Great Plains books. These books are intentionally brief (typically about 140 pages) and written by noted scholars for a public audiences of interested, lay readers. He was married to the late Carolyn Edwards, Willa Cather Professor and Professor of Psychology and Child, Youth, and Family Studies at the University of Nebraska-Lincoln. Their three children include Sam Holland Edwards, a corporate and securities attorney with the firm of Holland & Hart in Denver; George Edwards, a software expert witness and founder of Quandary Peak Research in Los Angeles; and Rebecca Edwards, who achieved her M.D. and Ph.D. at Northwestern University and is now in residency. He became the Center's director in November 2011. Conservation and ecotourism in the Great Plains; the history of homesteading in the Great Plains; the present economics, demography, and natural resources of the Great Plains; and issues in higher education. This work tries to promote ecotourism as a strategy for preserving the enormous and precious biodiversity of the Great Plains grasslands. I work jointly, in changing combinations, with Sarah Sortum of the Switzer Ranch and Nature Preserve (Burwell, NE), conservationists at the WWF Northern Great Plains Program (Bozeman, MT), and others. The work is inspired by the highly successful models of ecotourism-driven conservation developed by African and WWF personnel in Namibia and Botswana; there, high-value, low-volume ecotourism incentivizes private-landowner conservation, resulting in stable or growing species populations, thriving nearby human communities, and a deepening national consciousness of the economic and aesthetic value of their natural environment. We hope to build a similarly robust and profitable ecotourism industry in the Great Plains, producing real conservation gains, promoting rural jobs and healthy local economies, and growing public appreciation for the nature of the Great Plains. My current project is researching the history of Black homesteaders in the Great Plains (jointly with Mikal Eckstrom and Jacob Friefeld). We are focusing on Black homesteader communities or “colonies:” Nicodemus, KS; DeWitty, NE; Empire, WY; Dearfield, CO; Sully County, SD; and Blackdom, NM. This project, funded in part by the National Park Service, is aimed at providing content for a digital archive for NPS to mount on its websites. An on-going project is a massive effort to digitize and make accessible to genealogists and scholars the vast homestead files lodged at the National Archives and Records Administration (Washington, DC); this is a joint project with Superintendent Mark Engler of the Homestead National Monument of America (Beatrice, NE), and Professor Kay Walter of the UNL Libraries, together with FamilySearch.org, a non-profit genealogical organization, and Fold3.com, a for- profit online records company (both located in Utah). The project completed the scanning and digitizing all homestead files for Nebraska. The Center for Great Plains Studies, in collaboration with NET-TV, has produced for the World Wildlife Fund four short animated videos displaying different aspects of settlement and habitat destruction in the Great Plains. The videos were created by Scott Beachler (NET) with geographical expertise provided by Prof. Clark Archer (UNL, Geography and Center for Great Plains Studies), based in part on the maps Prof. Clark and colleagues constructed for Atlas of the Great Plains (2011, University of Nebraska Press). The videos show conversion of the prairie into plowed croplands, habitat fragmentation, energy development including the spread of windfarms, decline of and partial restoration of the bison, and pronghorn migration routes. This animation was created by Dr. Kenneth French, Assistant Professor of Geography, University of Wisconsin-Parkside, while he was a student at the University of Nebraska-Lincoln. Posted with permission. THE CAPITALIST SYSTEM (with Michael Reich and Thomas Weisskopf, Prentice-Hall 1970, 1978, 1986). Can Ecotourism Save the Great Plains? 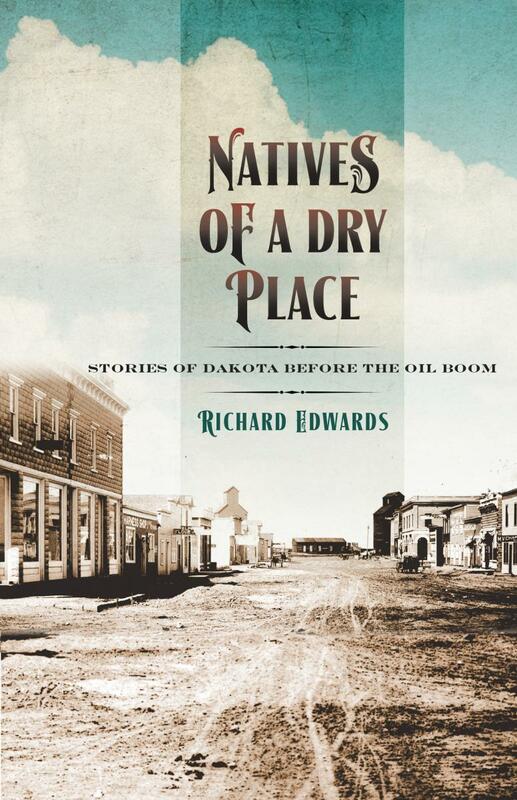 Contrasting values of resoluteness, devotion to community, and modesty with the trials of the modern oil-boom community, author Richard Edwards examines the old town's virtues through the stories of those who built and sustained a community on the dry, open plains in the 20th Century.